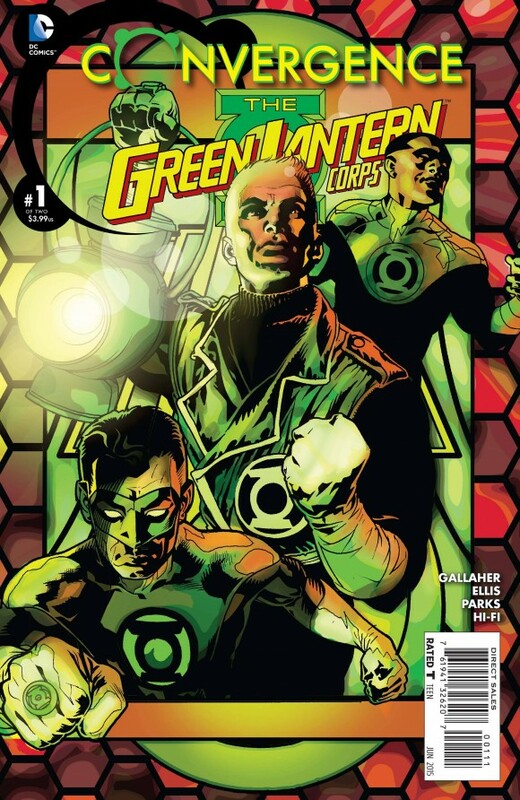 EXCLUSIVE: The guys behind Convergence: Green Lantern Corps choose the best moments — from Guy‘s debut to the defeat of the Corps! Confession time: I’m not a huge Green Lantern Corps fan. It’s not that I dislike it, it’s just that it’s not something that readily appeals to me. Flipside is I really dig David Gallaher and Steve Ellis, the talented writer-and-artist team handling the GLC mini during Convergence. So this week, in our latest Convergence spotlight, Gallaher and Ellis pick their fave moments in Brightest Day and Blackest Night. Dan Greenfield: What are your favorite stories starring these characters? David Gallaher: My favorite Hal Jordan story has to be Emerald Twilight. That cover is so incredibly iconic. 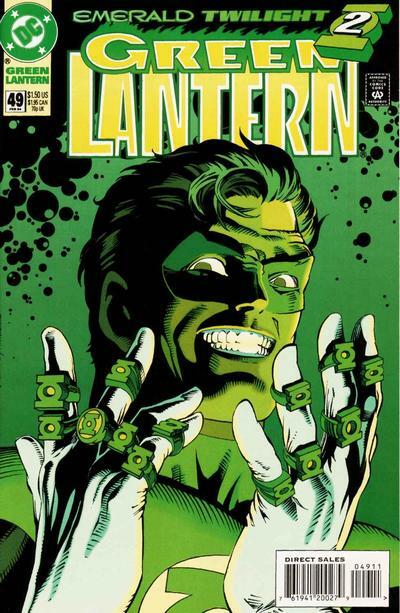 Hal wearing all the rings on his hands? That’s such a striking visual. And the storytelling by Ron Marz is really something else. Compelling stuff — and a whole new era for Green Lantern! 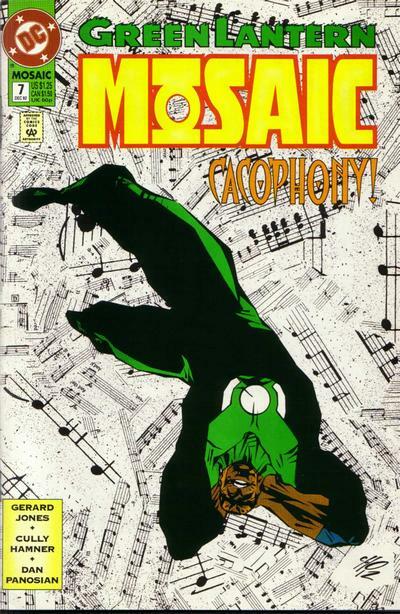 My favorite John Stewart story has to be Mosaic. The idea of Stewart as this intergalactic marshal patrolling this unusual community of alien creatures was imaginative, colorful, and often frightening. I love the work that Cully Hamner and Gerard Jones did on the series. 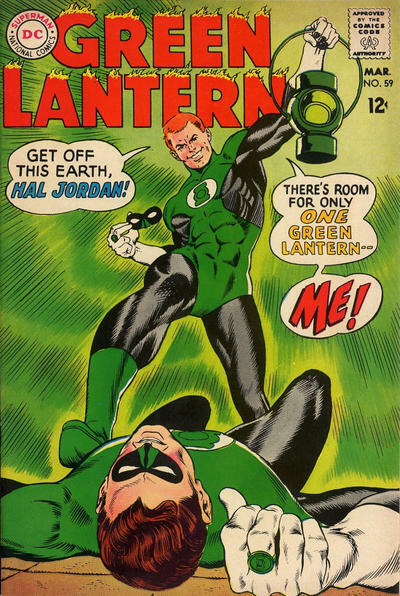 It showed me that even though he was originally a relief pitcher for Hal that John had all the skills and talent needed to be a GL and then some! My favorite Guy Gardner story, well, I think there’s a lot to be said for “Earth’s Other Green Lantern” in Green Lantern #59, which marks Guy‘s official debut. While he’s not quite the Guy we’ve come to love (errr…. hate) — there’s an incredible amount of determination, adventure and tragedy in that story. Really classic stuff by John Broome and Gil Kane. Gallaher: The opportunity to play with these classic characters is really a treat, but what’s been really fun is discovering the true heart inside all of them. Guy, John and Hal feel just like people I know … and I have a lot of fun being around them. Steve Ellis: The Green Lantern Corps characters have changed so much since Crisis that I was able to rediscover what made them so powerful. It was a blast to draw Guy, Hal and John… They are such great characters, each in their own right, and setting them back in time a bit gives us the opportunity to work with a bit of a clean slate and see how the characters might develop in a different situation. The best part is the way they do or don’t get along with each other. What’s your favorite cover starring the Corps? 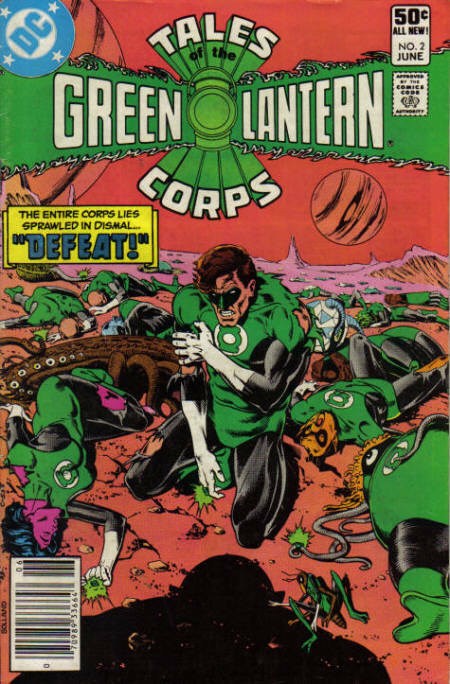 Steve Ellis: Green Lantern is such an iconic character — and there have been a host of amazingly talented artists from Neal Adams to Brian Bolland, that’s it’s really difficult to single anybody out, but if I had to pick just one — purely from a historical perspective, I would say that the cover to Tales of the Green Lantern Corps #2, featuring the defeat of the Corps, is a dynamic piece of work.